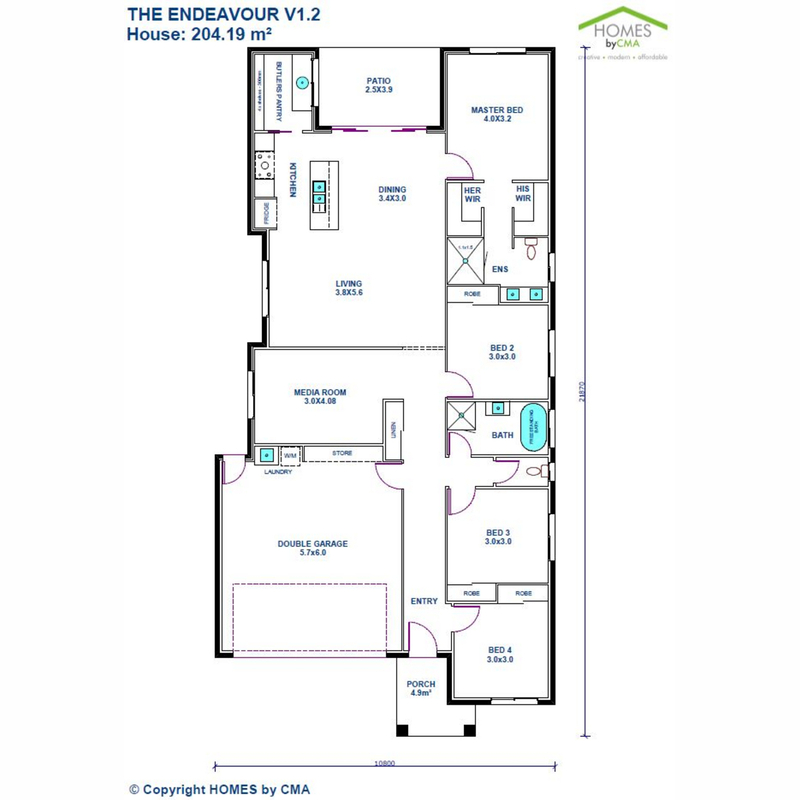 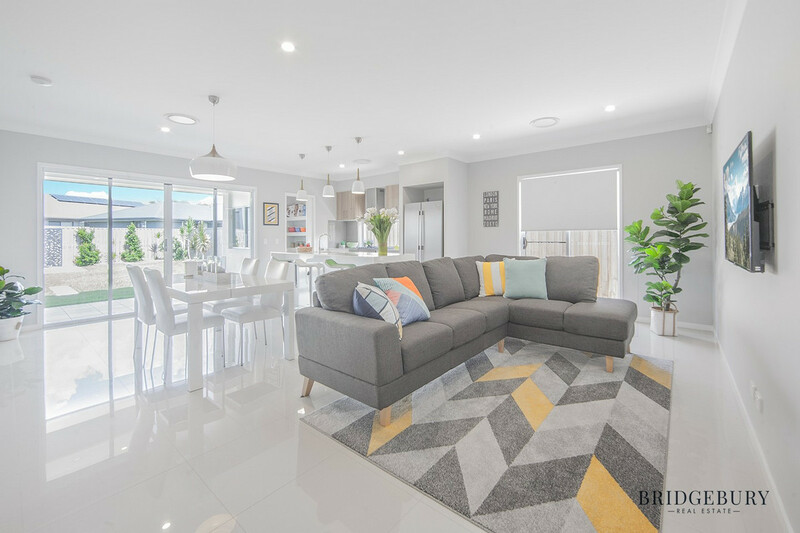 Ex-Display Home in North Harbour! 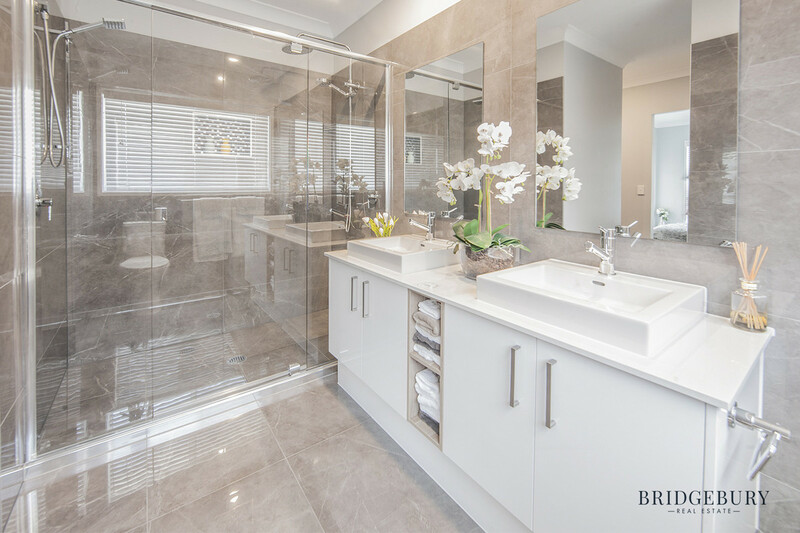 This stunning display home has been finished to the highest standard! 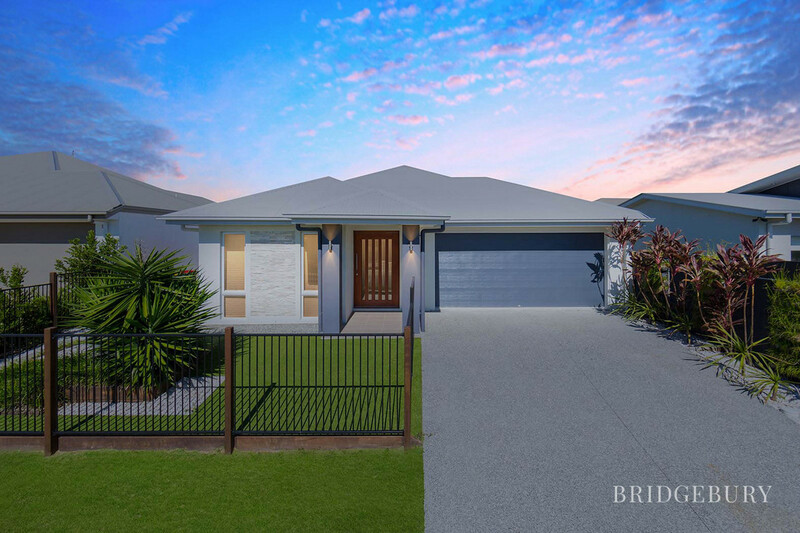 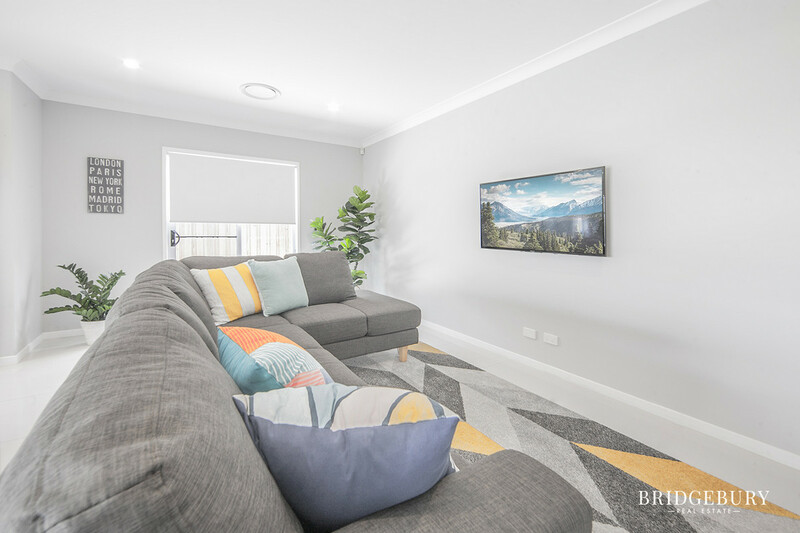 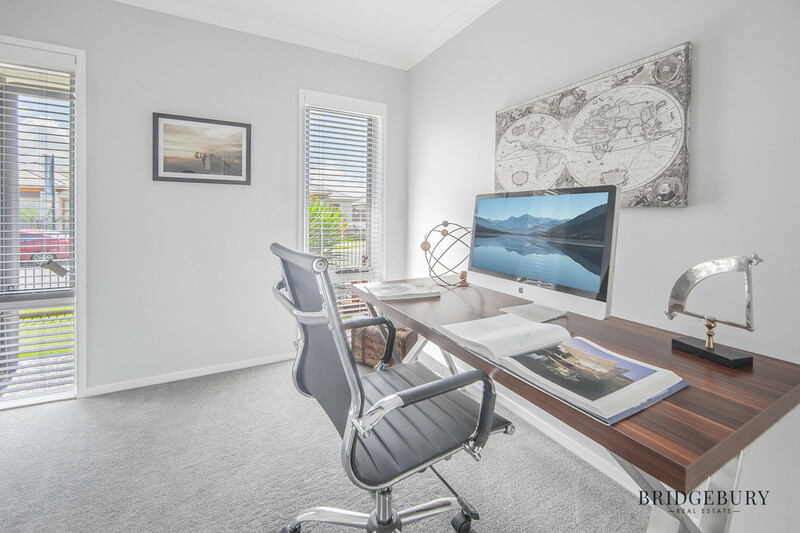 Located in North Harbour estate in Burpengary East you will absolutely love the well-planned community. 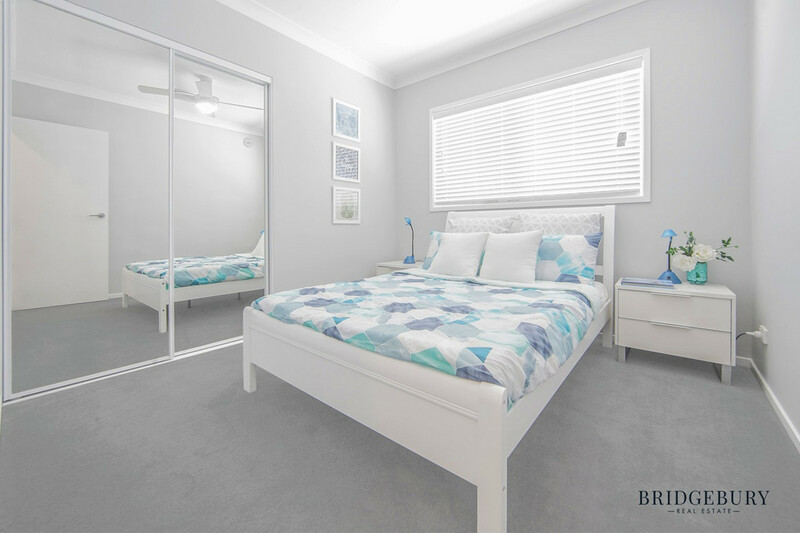 Just minutes from shops, schools and the highway it’s sure to suit your needs. 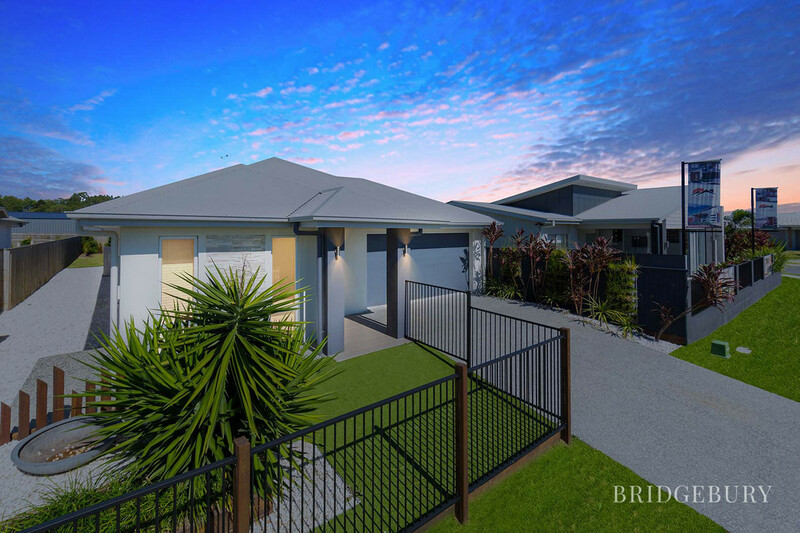 The beautiful front garden bed is sure to welcome you and designed for low maintenance. 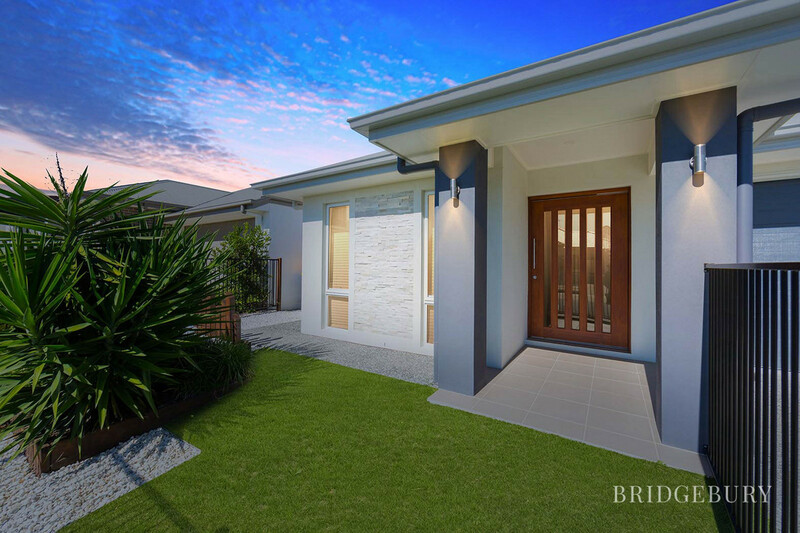 Upon entering you’ll love the extra-wide timber door making moving in a breeze. 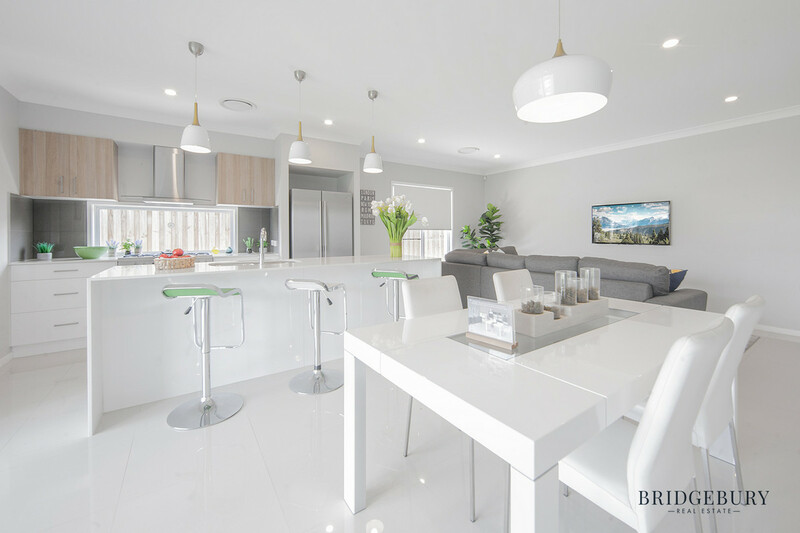 The main living area is open plan and tiled with plenty of space for a large lounge suite and dining table. 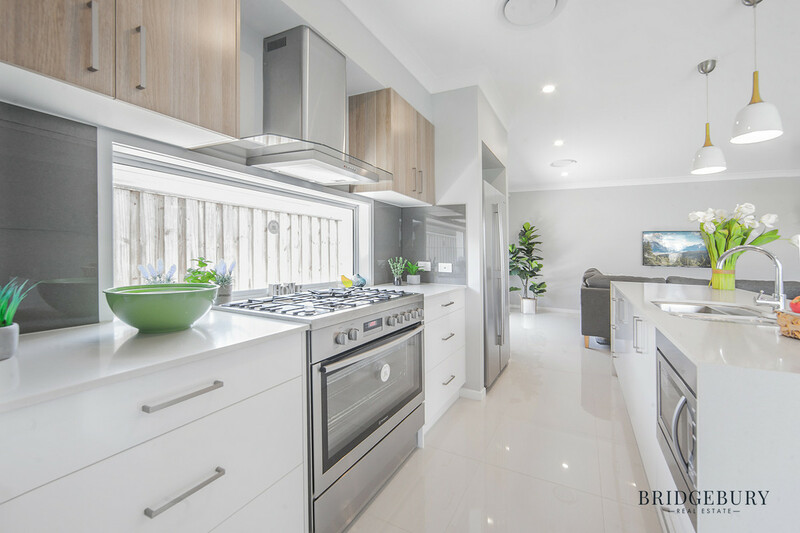 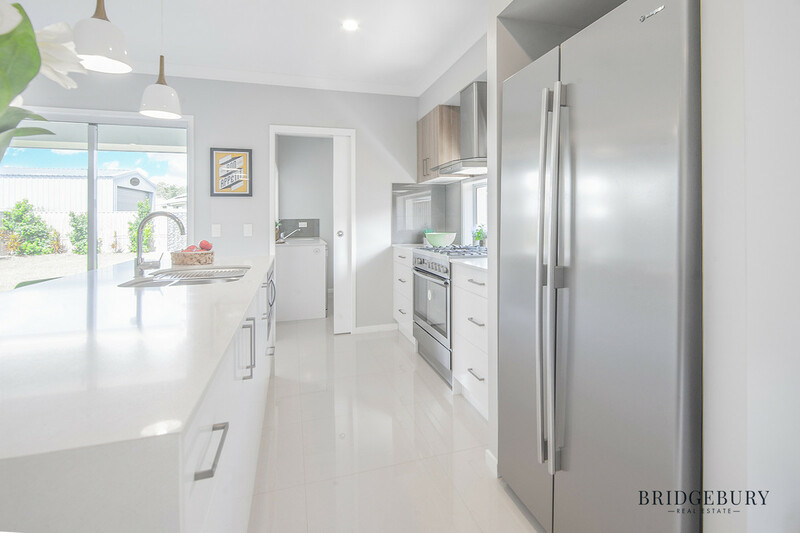 The kitchen is beautiful with stone benchtops, room for a double door fridge, chef’s oven with gas cook top and butler’s pantry to rival the rest of the kitchen! 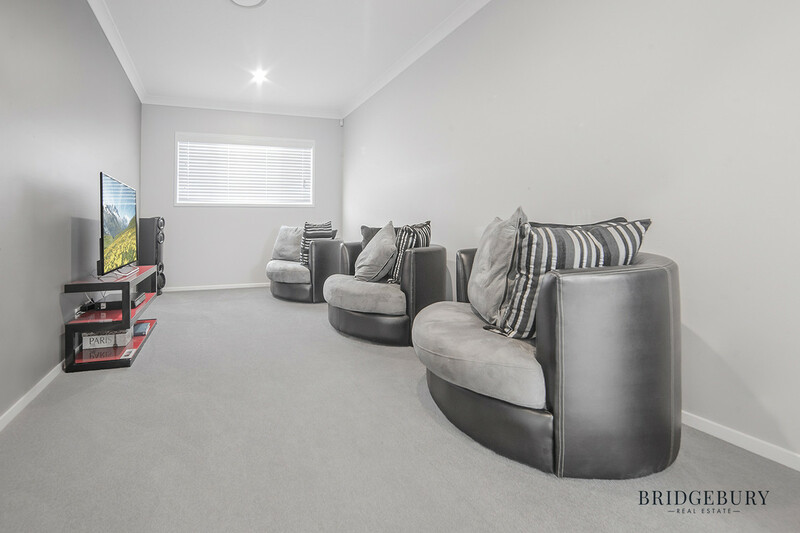 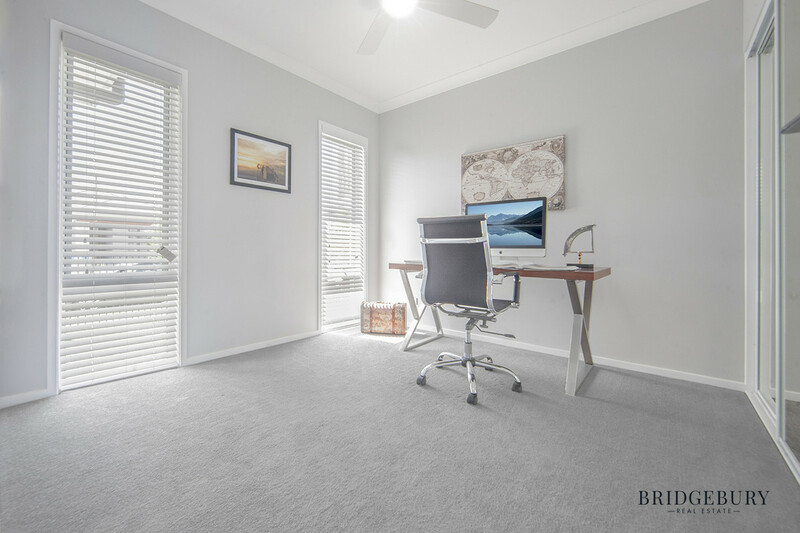 There is also a separate carpeted lounge room for the kids to play while you entertain! 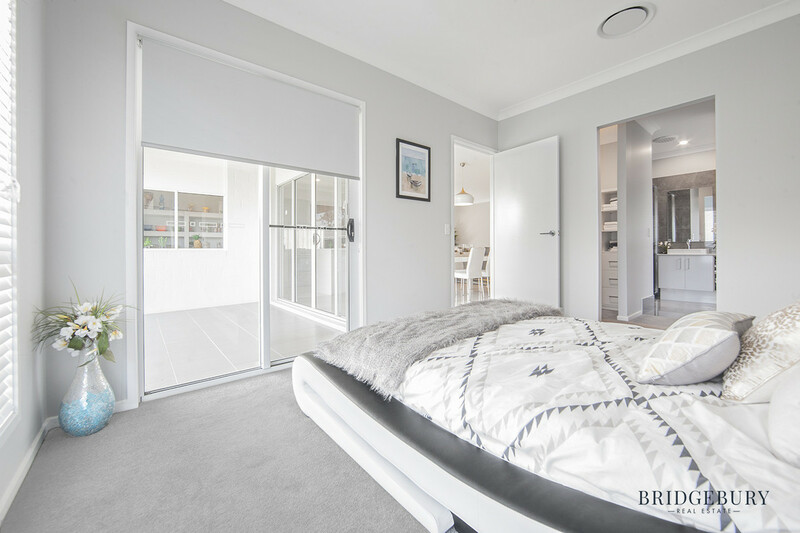 The master bedroom is at the rear of the home with a doubled sided/his and hers walk in robe which enters to the ensuite. 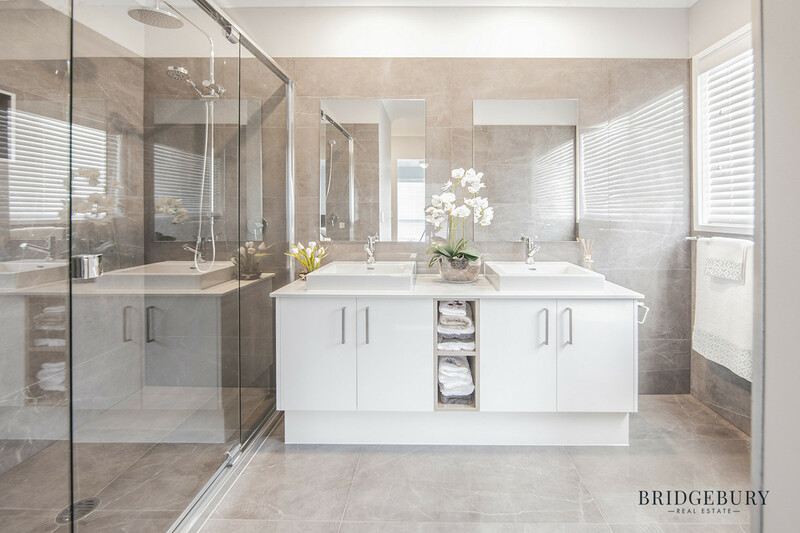 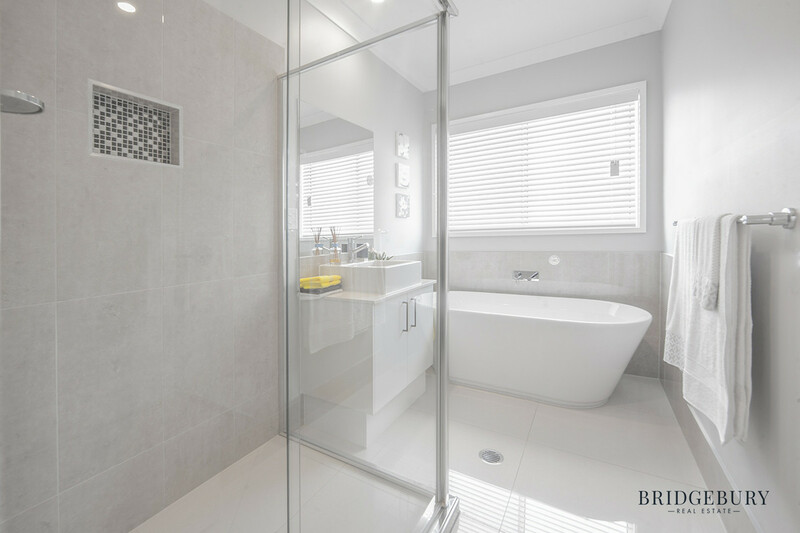 The ensuite is stunning with his and hers sinks and a double shower head in the walk-in shower! 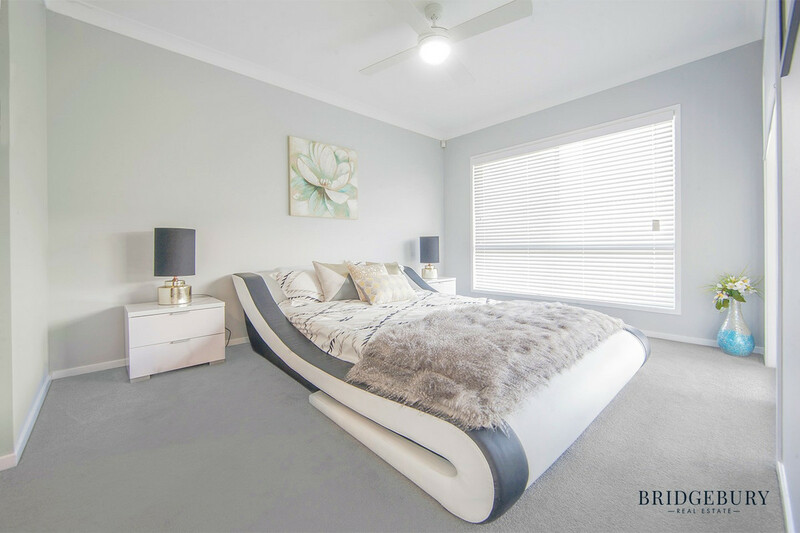 The other 3 bedrooms are double sized with built in wardrobes and ceiling fans. 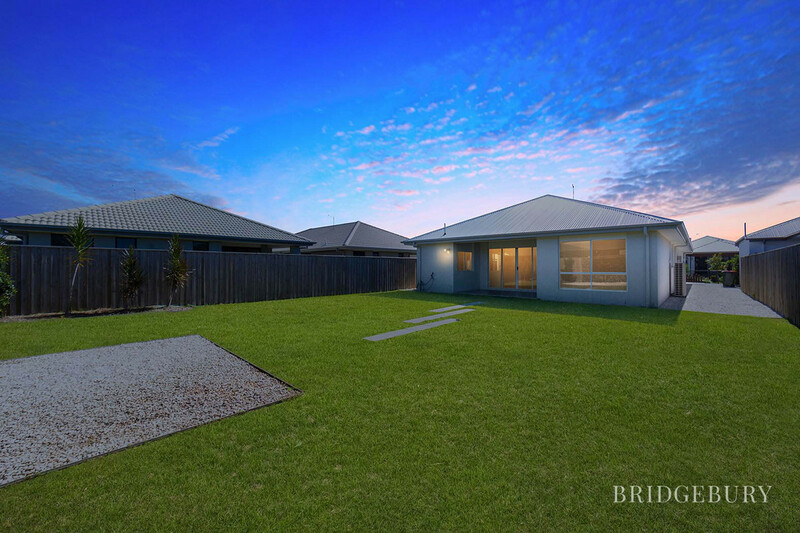 The backyard is generous with a beautiful garden and water feature. 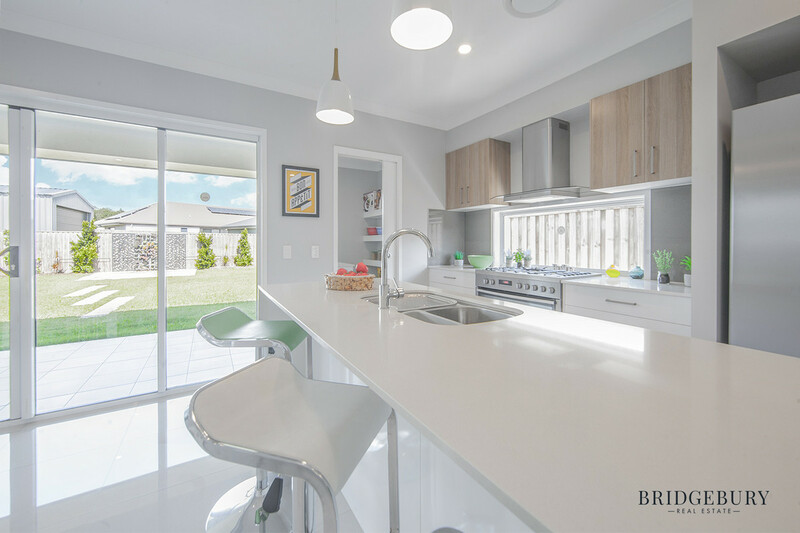 You’ll be able to fit all the kids toys and enjoy having summer BBQ’s with your friends and family! 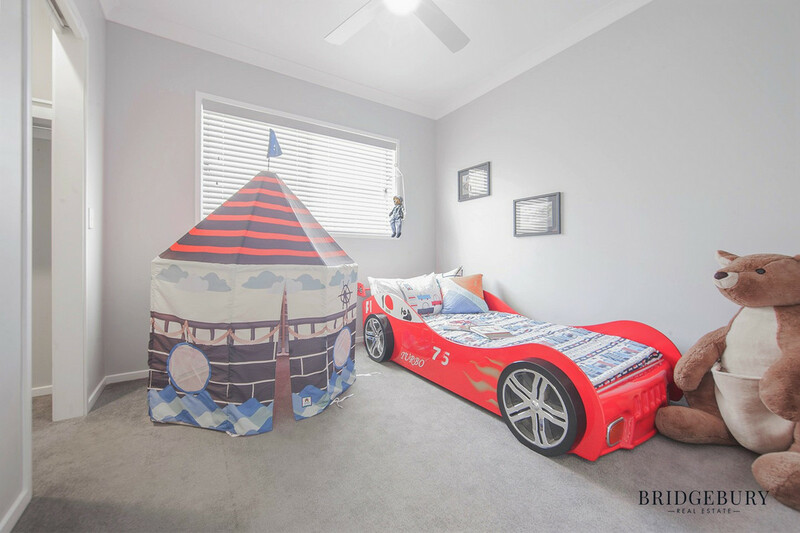 This property is sure to go quickly so contact us today to organise your inspection 07 3180 2800 or 0452 189 878.